A timeless tale of love, devotion . . . and the undead. 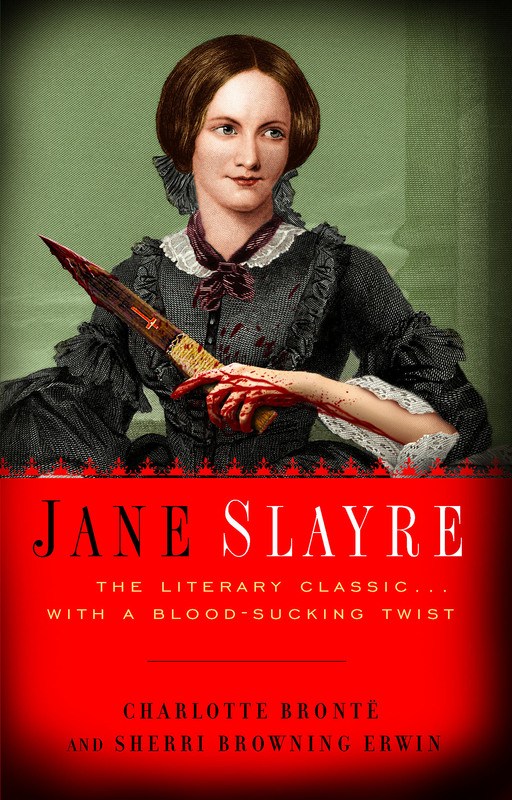 Jane Slayre, our plucky demon-slaying heroine, a courageous orphan who spurns the detestable vampyre kin who raised her, sets out on the advice of her ghostly uncle to hone her skills as the fearless slayer she’s meant to be. When she takes a job as a governess at a country estate, she falls head-over-heels for her new master, Mr. Rochester, only to discover he’s hiding a violent werewolf in the attic—in the form of his first wife. Can a menagerie of bloodthirsty, flesh-eating, savage creatures-of-the-night keep a swashbuckling nineteenth-century lady from the gentleman she intends to marry? Vampyres, zombies, and werewolves transform Charlotte Brontë’s unforgettable masterpiece into an eerie paranormal adventure that will delight and terrify. THERE WAS NO POSSIBILITY of continuing my walk that night. We had been wandering, indeed, in the leafless shrubbery an hour after dark, but since Mrs. Reed had picked up a scent (Mrs. Reed, when there was no company, hunted early), I was sent home so the others could stalk their prey. I was glad of it. I never liked long walks, especially on chilly evenings. Dreadful to me was the coming home in the raw midnight, with nipped fingers and toes, and a heart saddened by the death of the poor thing they’d dined on, raw, right in the middle of the wood. Not that I frequently watched as they took their meal. I avoided accompanying them on the hunt as often as I could. In fact, I interfered with their efforts by inadvertently making noises to scare off whatever beast they’d settled on draining for their dinner. Unlike my cousins, my senses didn’t sharpen at night. My inability to see in the dark, combined with my natural lack of physical grace, led me to trip over tree roots, branches, fence posts, or even my own two feet. Most often, once Mrs. Reed’s nostrils flared to indicate a scent on the air, I ran home alone to face the chidings of Bessie, the nurse, both humbled by my consciousness of my physical inferiority to Eliza, John, and Georgiana Reed, and delighted I didn’t share their condition. I’d returned home without disturbing their hunt. I’d eaten my steak as rare as I could stand for my dinner, which was admittedly not very rare indeed. Though Mrs. Reed longed for me to develop some tolerance to blood, I preferred my potatoes and spinach to anything that had actually lived. Bessie was often required to recount what I’d left on my plate or if I’d woken before dusk to steal a glance of sunlight out the window. A breakfast room adjoined the windowless drawing room. I slipped in there and lit a lamp. The Reeds preferred to keep the house dark, even during their waking hours in the night. I found the bookcase and soon possessed myself of a volume, taking care that it should be one filled with pictures. I mounted into the window seat and sat cross-legged. Having drawn the red velvet curtain nearly to a close, I did my best to confine the lamp’s light to my hiding spot. Folds of scarlet drapery shut in my view to the right hand; to the left were the clear panes of glass, protecting, but not separating, me from the drear November eve. At intervals, while turning over the leaves of my book, I studied the aspect of that moonless winter night. I couldn’t see far for the rain, and thank goodness. Who knew what dead thing they’d left out on the lawn for the servants to remove in light of day? I returned to my book—Bewick’s History of British Birds. Sometimes, during the daylight hours through which I was demanded to sleep, I could hear the birds outside caroling and carrying on. I longed to see them in the daylight, to watch them twitter and flit. Once, in a late afternoon, I’d chanced to move the heavy curtains and catch a glimpse, but John Reed had also been awake and sneaking up on me right in time to be singed on the hand by a ray of sunshine streaming in through the folds. His screams roused the entire household and I had quite the thrashing for it. Was I trying to kill my cousin? He who was so kind to let me live and not drink my blood at tea? Mere pictures of the birds, mixed in amongst sunlit images of foreign lands, were to content me. Each picture told a story of life lived during the daytime hours, mysterious often to my undeveloped understanding and imperfect feelings, yet ever profoundly interesting. As interesting as the tales Bessie sometimes narrated on winter evenings, when she brought her ironing table to the nursery hearth. She allowed us to sit about it and, while she got up Mrs. Reed’s hunting habit, fed our eager attention with passages of murder and mayhem passed down by her own Romanian grandmother. Sometimes, if I woke in the afternoon and she chanced to be awake and in good humour, she would tell lighter stories for my ears alone, tales of love and adventure taken from old fairy tales or folk songs. With Bessie busy elsewhere, I contented myself with the Bewick’s on my knee. I feared nothing but interruption, and that came too soon. The breakfast-room door opened. And I came out immediately, for I trembled at the idea of risking close contact with the said Jack at a time when he’d barely finished his dinner and probably thirsted for more. “What do you want?” I asked with feigned boldness. “Say, ‘What do you want, Master Reed?’ I want you to come here.” Seating himself in an armchair, he intimated by a gesture that I was to approach and stand before him. John Reed retained the form of a schoolboy of fourteen years old, four years older than I, for I was but ten. Large and stout for his age, with a greyish pallor, wide features, heavy limbs, and large extremities, he gorged himself habitually of prey, which gave him consistently red eyes and a leonine awareness, as if he were always on edge, ready to pounce on his next snack. He ought now to have been at school, but a fiendish child was used to waking at night and sleeping during the day. Besides, he would have frightened the others in class, and it would have been a tad suspicious had he risen through the ranks but remained all of fourteen in appearance. John had not much affection for his mother and sisters, and an antipathy for me that I suspected derived from hunger. He pulled me close and sniffed me, not two or three times in the week, or once or twice in the day, but continually. Every nerve I had feared him, and every drop of blood in my veins coursed faster when he came near. Some moments I was bewildered by the terror he inspired. I had no appeal whatever against either his menaces or his inflictions. The servants feared offending their young master lest he devour one of them, and Mrs. Reed was blind and deaf on the subject. She never saw him lick or bite at me, though he did both now and then in her very presence, more frequently, however, behind her back. Though it was my habit to obey him, I did not approach. Something in his glowing eyes hinted at a craving not yet sated. It was possible that he didn’t get his fill of the stag or bear or whatever creature they’d feasted on. One day, I feared he would not be quenched with just a taste of my blood but would drink me dry or, worse, make a monster of me as he had one of the footmen, James, a poor lad who had once thwarted him and now had to forage in the night for bats or barn rats to eat his fill, being too small of stature to hunt effectively on his own. The room was small and no one would answer my screams. Whether I went to him voluntarily or waited for him to get me made little difference if my fate was to be John Reed’s dessert. Disobeying him might only fire his blood and force him to stop toying with me at last and do the deed. I approached and, as ordered, held out my hand. He smiled the leering half smile he used when we were alone. “Very good, my dear canapé.” He took my arm and roughly forced my sleeve up. His bulbous nose met my skin and traced a slow, damp trail up my forearm to the tender inner elbow, as far up my arm as my sleeve would expose. Sighing, he paused a moment as if to take in my essence or to gather his wits. As he had no wits to gather, it must have been my essence giving him pause. Abruptly, he jerked me down into the chair, onto his lap, pulling my head to the side to better access my neck. With the pad of a finger, he stroked my throat. “Your blood. I feel it thrumming through your veins.” His breathing slowed. I couldn’t see his face, but I imagined his pupils narrowing, a predator going in for the kill. I knew he would soon strike, and while dreading the bite, I mused on what it might be like to be one of them, to live forever in the dark with no hope of ever returning to the light. While Mrs. Reed did not give me leave to go out of doors in the daytime, in the back of my mind I kept the notion that I could. One day, given the right conditions, I would walk out and turn my face to the sun. John Reed was not going to take that dream from me. I jerked free of his hold and sprang across the room. With his superior build and skills as a hunter, he was on me immediately, shoving me to the floor and rolling with all his weight atop me. No doubt he read fear in my face, for he fed on it, twisting my arms up over my head and pinning me motionless beneath him. He licked my cheek, his tongue burning a path from chin to brow. I closed my eyes, squeezing tight, as if not seeing him would make him go away, but his breath was hot on my face and redolent with the smell of blood and entrails, his earlier repast. My stomach lurched. “I was only reading,” I said in my own defence. I was not in habit of answering John Reed’s accusations. My care was in how to endure whatever punishment he sought to inflict upon me. But now, his tone held new seriousness. I had always known he was on the edge of carrying through with his most severe possible threat, and at last he seemed ready to do his worst. “Show the book.” He let me up to fetch it, both of us well aware that he would pin me down again, mouse to his cat, at his convenience. I retreated to the window seat and returned to offer him the volume. He flipped the pages, pausing at a scene of a gull soaring over a turbulent sea, clouds just beginning to cover a high midday sun. His eyes widened with an unmistakable look of envy. He slammed the book shut and threw it to the hearth, nearly pitching it into the fire. “Soulless fiend children,” I corrected boldly, drawing a gasp from Georgiana and Eliza, who stood watching just inside the door. I would not be so certain, I thought, and did not know from whence such a strong supposition took root. I suddenly had an image of myself standing over John Reed, a wooden stake in hand. I had no idea where I would acquire a stake, let alone find the strength to plunge one through John Reed’s heart, but the idea brought a queer little smile to my lips. I shook my head, the smile departing. The Reeds could not stand to be near reflective surfaces, to find no self-image staring back. Most of the mirrors in the house had been removed, but the servants kept one in the breakfast room, a room seldom used by the Reeds since nature had forced them into the habit of hunting their meals out of doors. I did as told, looking around futilely for a weapon as I crossed the room. I looked up just as he sprang to action, landing on me with enough force that we rolled several times to the side until I struck my head on the corner of the door. It made me dizzy, but I maintained consciousness enough to know the blow had left a cut, and the blood enticed John Reed to quiet contemplation of my head. My anger flared along with his nostrils at my scent. Bessie often told of Vlad, of his cruelty and thirst for blood. I suspected she told the tale as a subtle warning to me not to thwart the Reeds, especially John; but suddenly, I was not afraid. He could do his worst, kill me even, but he could not force me to become one of his kind. I would not sacrifice my soul, as no doubt all of the Reeds had given theirs. I felt him grasp my hair and my shoulder and lick at the drop or two of blood that had trickled down my neck. “So sweet,” he said. His fangs pierced my neck, a quick, sharp burn, and I was sensible of somewhat pungent suffering. These sensations for the time predominated over fear, and I received him in frantic sort. He drank until I began to weaken, and I had the vision again of my standing over him, victorious at last. I had no weapon, barely any consciousness, and yet I knew that I could fight. Fight! Something in me screamed. Fight! Live! I rammed my knee up and connected with tender flesh. Aid was near him. Eliza and Georgiana had run for Mrs. Reed, who had gone upstairs. She now came upon the scene, followed by Bessie and Mrs. Reed’s maid, Abbot. I lived in dread of Abbot. She frightened me far more than the vampyres, for I wasn’t certain what she was. I only knew that her limbs frequently detached and she had a devil of a time putting them back on. Sometimes, when Abbot nodded off for a nap and the Reed children were feeling especially naughty, they took delight in rearranging her as if she were a puzzle. Unfortunately, Abbot nodded off frequently, as she was not very vigorous, and the Reeds were always naughty. But what Abbot lacked in enthusiasm she made up for in strength. She held me by the collar with toes where her fingers should have been and pulled me away from John. “No, no, dears! Her common blood will bring on fevers, maybe apoplexy! We only eat what we kill out of doors, or nobility!” Mrs. Reed’s insistence on purity of blood kept the servants feeling safe in her presence, but John Reed had occasionally shown that his appetite could overcome even this prejudice. “But she smells tolerable,” Eliza said. I imagined her inching closer, fangs extended. Then Mrs. Reed subjoined, “Take her away to the red room and lock her in there, away from my children.” Four hands were immediately laid upon me, and I was borne upstairs. This reading group guide for An Atlas of Impossible Longing includes an introduction, discussion questions, and ideas for enhancing your book club. The suggested questions are intended to help your reading group find new and interesting angles and topics for your discussion. We hope that these ideas will enrich your conversation and increase your enjoyment of the book. In this reimagining of Charles Dickens’s classic, Great Expectations, Pip is an orphaned young werewolf living with his ill-tempered sister and her gentle husband, the blacksmith Joe Gargery. One fateful night, visiting his parents’ grave under the full moon, Pip encounters a frightening stranger—another werewolf and a convict no less. Too afraid to do anything other than obey the stranger’s instruction, Pip helps this convict and sets in motion of chain of events that will forever change the course of his life. Pip is sent to reside with Miss Havisham, a vampire who was sired and left on her wedding day by the one she loved. She has adopted Estella and raised her as a vampire slayer, to seek revenge on the supernatural creatures that she blames for her ruin. Pip, in awe of Estella’s beauty, falls instantly in love with her despite the fact that she has been trained to hate all “Scapegraces.” When an anonymous benefactor sends Pip to London to become a gentleman, he believes it is his chance to win Estella’s hand. The question that lies ahead is whether Pip will be able to overcome his wolfish ways and turn his once grave expectations for himself into great ones. 1. In Pip’s world, the term “Scapegraces” is used to define “those of a supernatural sort” (p. 11). What do you think this term implies about the way that creatures like werewolves and vampires were viewed in this society? 2. On page 12, Pip wonders, “Was it a crime to merely be different?” While being a werewolf is simply a condition inherited at birth, vampires prey on the living to increase their population, and yet are “considered civilized and welcome to mix in society.” Is one creature more monstrous than the other? Do both werewolves and vampires have the capacity for good and evil? 3. After being invited to Miss Havisham’s and then later learning of his anonymous benefactor, Pip often feels ashamed of his roots, and of Joe’s commonness even more so than his own Scapegrace status. Yet Joe never seems to exhibit any embarrassment over Pip’s wolfishness. What does this say about each of their characters? What influences the focus of Pip’s shame? 4. When Mrs. Joe dies (the first time), Pip finds what he knows to be evidence of Magwitch’s crime, but he still does not accuse him. Why do you think Pip believes that Magwitch is innocent of this crime when the main piece of evidence points directly to him? 5. Throughout most of the story, Estella is cold-hearted and shows no affection for Pip despite his unwavering love for her. Why should he love someone who could possibly end up killing him in her crusade against Scapegraces? What makes him fall in love with her in the first place? Why do you think Pip continues to pursue someone who will never return his feelings? 6. Pip and Herbert have a very special friendship. Do you think this brotherly love grew out of the wolfish need to be part of a pack? Or something more human? 7. While Miss Havisham is herself a vampire, she has trained Estella in the ways of vampire slaying. Pip wonders “if Miss Havisham weren’t really wishing to be staked by Estella one day in raising her to such an art” (p. 235). Do you agree? Do you think Miss Havisham’s eventual outcome either supports or refutes this opinion? Why does Estella never stake her, if indeed her mission is to kill vampires? 8. Pip is horrified when he finds out the Magwitch has been his anonymous benefactor all along. Why do you think this revelation is so abhorrent to Pip, when he seems so willing to not only protect Magwitch and keep him safe, but to also protect his feelings by not revealing his disappointment? 9. On page 284, Pip explains to Miss Havisham that there are certain Scapegraces who “showed more humanity than the humans.” Discuss which of the Scapegraces behave with the utmost humanity, and which of the human characters exhibit what could be categorized as monstrous behavior? 10. How does the discovery of Estella’s parentage change things for Pip? Does it change your opinion of her? 11. Why is it so easy for Joe and Biddy to forgive Pip after he had neglected them for so many years? Should Joe have been angry that Pip spent so much time visiting Magwitch after he was captured, when he never kept up his visits to Joe like he had promised? 12. Though Estella is able to eventually see the goodness in werewolves, she never changes her opinion of vampires. Why do you think she can pardon and accept most Scapegraces and still seek vengeance against vampires? 1. Grave Expectations is a reimagining of Charles Dickens’s classic Great Expectations. Have you read Great Expectations before? If so, how did the supernatural version compare to the classic? What remained the same in this new version of the story? What changed? If not, choose Great Expectations for your next book club pick. 2. Grave Expectations is a literary mash-up—where a fictional classic is retold in present day or with mythical substitutions. Examples include Pride and Prejudice and Zombies or the movie Clueless, which was essentially Jane Austen’s Emma set in Beverly Hills during the 1990s. Try creating a literary mash-up of your own with your book club. Pick a favorite classic and retell the story as though it took place in the present day or with some supernatural characters. The more imaginative, the better! 3. Legends of werewolves and vampires have been carried down through the centuries. How does their depiction in this work compare with your preconceived notions of such supernatural creatures? A graduate of Mount Holyoke College, Sherri lives in Western Massachusetts with her nearly-perfect husband, and their charming actor son, amazing violinist daughter, a crafty corgi (Pembroke Welsh), and a very special pug. 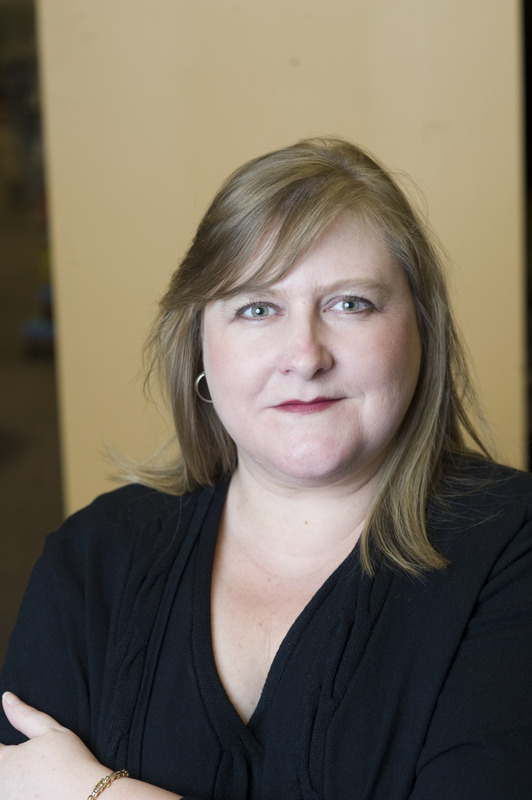 She has written historical romance for Dell under the name Sherri Browning and contemporary romance for Kensington under the name Sherri Erwin.